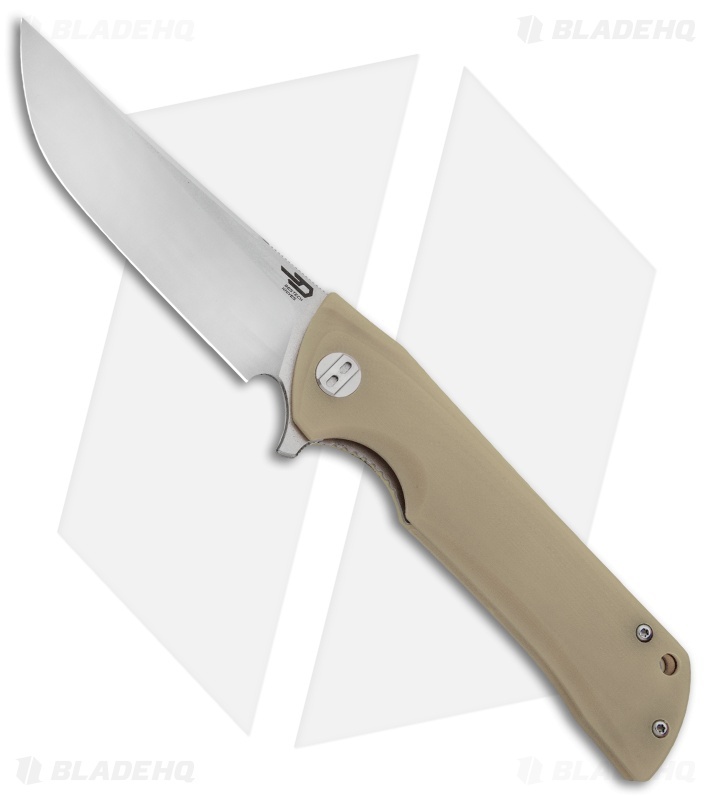 The Bestech Paladin offers a full size folding knife design that has been streamlined for comfortable everyday carry. 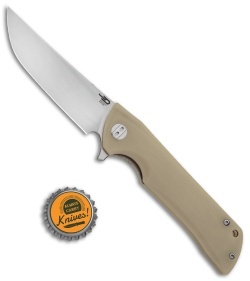 This model sports a tan G-10 handle and a satin finished blade. 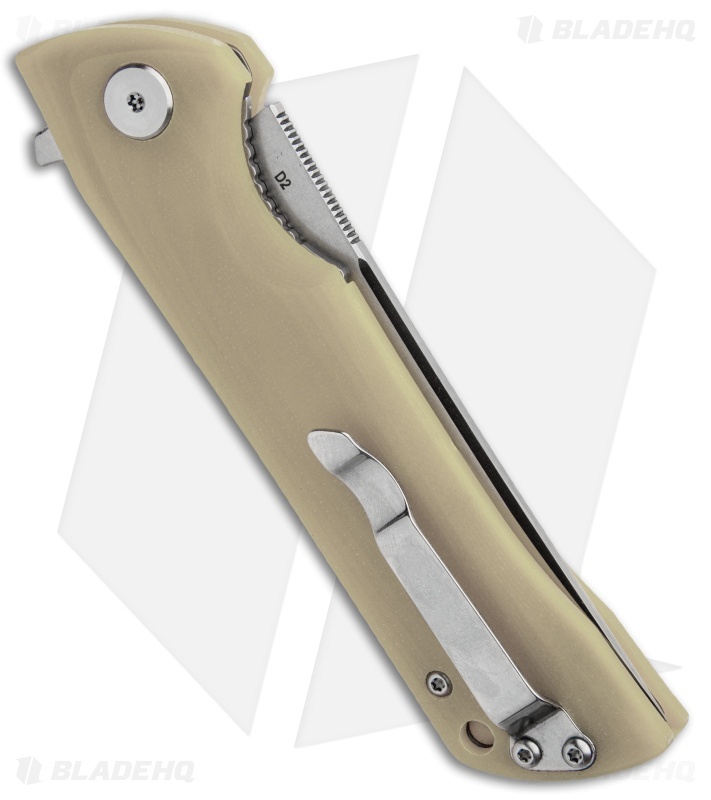 Sleek G-10 handle scales provide a classic look and a secure grip. The D2 steel blade has a slightly upswept profile and flipper opener for smooth deployment. 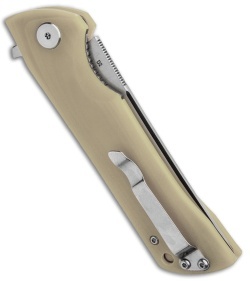 Item includes a stainless steel clip for tip-up carry. 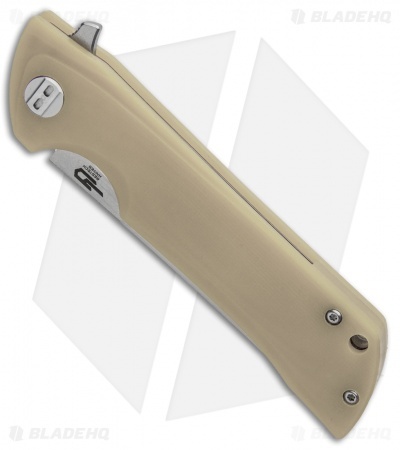 G-10 handle scales with a stainless steel liner lock for secure blade lock up. 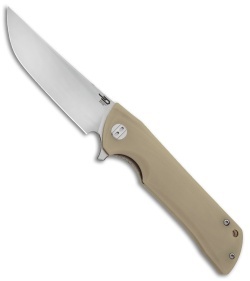 D2 steel provides a strong blade with excellent edge retention.